LOUIS VUITTON SANDALS………. LOUIS HEAVEN! Sandal season here. What better way to break the season in with Mr. Louis Vuitton? Louis Vuitton Malletier, commonly referred to as Louis Vuitton, or sometimes shortened to LV, is a French luxury fashion and leather goods company. Founded in 1854, one of the main divisions of LVMH headquartered in Paris, France. It’s 2009 and Louis Vuitton is still going strong. Gucci has plenty of classics (Jackie O anyone? ), but the Boston bag has a particularly cute shape. Whether vintage or brand spanking new, you’ll look polished and tasteful. Top Row: Parker Leather Satchel, $458; Leather Large Sabrina, $498. 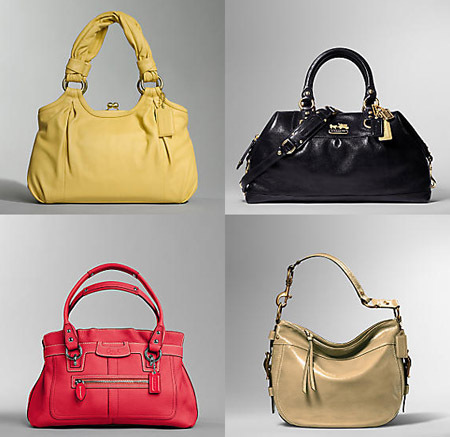 Bottom Row: Penelope Leather Shopper, $348; New Patent Zoe, $428. Whether in camouflage, damier, or monogram, the classic Speedy is infinitely versatile. Wear it to go shopping in jeans, like Brandy, or dress up a black shift for a day at work. Andre Benjamin introduced his new line of men’s wear at a party at Barneys New York during Fashion Week called Benjamin Bixby, which includes tweed plus fours and club sweaters with leather elbow patches. The collection was inspired by Ivy League athletics of the 1930s. By designing under an assumed name, Mr. Benjamin is reflecting the latest trend in celebrity fashion, which is for celebrity designers to masquerade as nobody designers, and thereby appear to be more authentic than opportunistic.